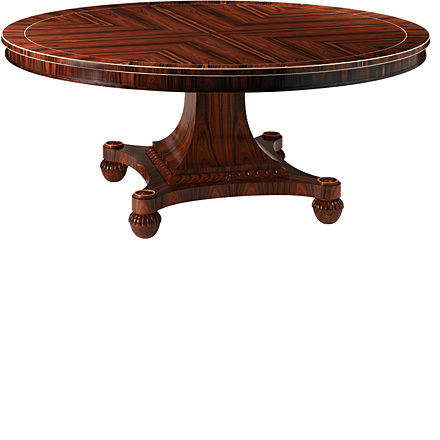 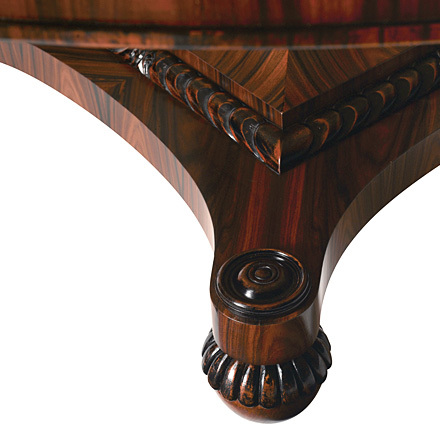 This George IV style circular rosewood veneered dining table features a top inlaid with richly figured, rayed, segmented panels. 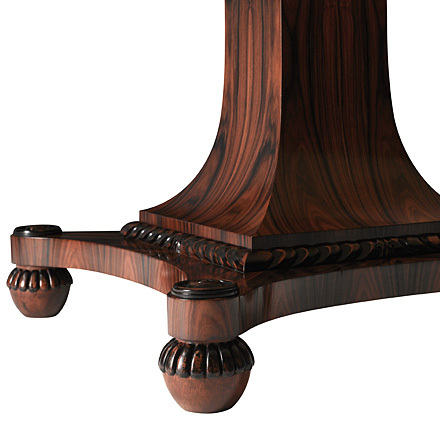 Its similarly veneered base features an inwardly curved, square pedestal with carved moldings on a platform base on circular, gadrooned feet. 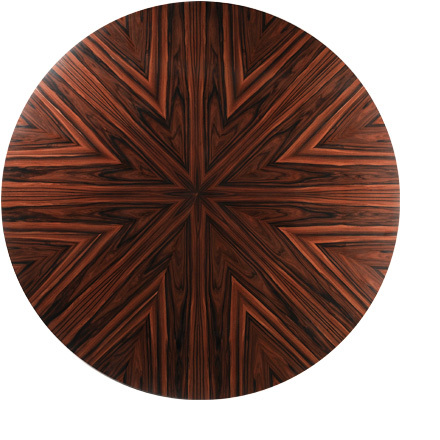 Available Finishes | Also available with faux ivory accents.